The Siberian Chronicles (Сибирские летописи in Russian) are the Russian chronicles of the late 16th - 18th centuries on the history of Siberia. They include the Yesipov Chronicle, Kungur Chronicle, Remezov Chronicle, Stroganov Chronicle, and others. These chronicles represent a valuable source on the early history of the Russian Siberia. Some of the chronicles were compiled later, such as Записки к Сибирской истории служащие (Notes, Dedicated to the History of Siberia) and Новая Сибирская летопись (New Siberian Chronicle) by I.Cherepanov, Летопись г. Иркутска с 1652 г. до наших дней (Chronicle of the City of Irkutsk from 1652 to present day) by P.Pezhemsky, Краткая летопись Енисейского и Туруханского края Енисейской губернии (A Brief Chronicle of the Yenisey and Turukhansk Krais of the Yenisey Guberniya) (1594–1893) by A.I.Kytmanov. Altogether, there are more than forty known Siberian Chronicles. The questions of origins and authenticity of the Siberian Chronicles were dealt with in different ways by the Russian historiographers. The traditional scheme of development of the Siberian chronicle-writing was proposed by Sergei Bakhrushin. He thought that Yermak's companions compiled the so-called Написание, како приидоша в Сибирь... (Notes on How We Came to Siberia) in 1621, which didn't survive to this day. Based on these notes, they compiled the so-called Синодик Тобольского собора in 1622, or Synodikon of the Tobolsk Cathedral (синодик, from the Greek word synodikón, which means a list of the dead submitted to church for remembrance in prayer). A chronicler Savva Yesipov compiled his own chronicle in 1636 based on the Notes... and Synodikon. In mid-17th century, they compiled the Stroganov Chronicle based on the Notes... and archives of the Stroganovs, which has no immediate connection with the Yesipov Chronicle. In the late 16th - second half of the 17th century, they compiled the Kungur Chronicle based on verbal narrations of Yermak's companions and folklore of the late 16th century. The Remezov Chronicle was compiled in the late 17th century. Around that time, the so-called Описание Новые Земли Сибирского государства (Description of the New Lands of the Siberian State) was written by Nikifor Venyukov. (in Russian)  Sergei Soloviev about Chronicles authenticity. The Ural Mountains, or simply the Urals, are a mountain range that runs approximately from north to south through western Russia, from the coast of the Arctic Ocean to the Ural River and northwestern Kazakhstan. The mountain range forms part of the conventional boundary between the continents of Europe and Asia. Vaygach Island and the islands of Novaya Zemlya form a further continuation of the chain to the north into the Arctic Ocean. 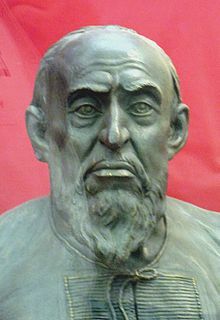 Ivan IV Vasilyevich, commonly known as Ivan the Terrible, was the Grand Prince of Moscow from 1533 to 1547 and the first Tsar of Russia from 1547 to 1584. The early history of Siberia was greatly influenced by the sophisticated nomadic civilizations of the Scythians (Pazyryk) on the west of the Ural Mountains and Xiongnu (Noin-Ula) on the east of the Urals, both flourishing before the Christian era. The steppes of Siberia were occupied by a succession of nomadic peoples, including the Khitan people, various Turkic peoples, and the Mongol Empire. In the late Middle Ages, Tibetan Buddhism spread into the areas south of Lake Baikal. Kungur is a town in the southeast of Perm Krai, Russia, located in the Ural Mountains at the confluence of the Iren and Shakhva Rivers into the Sylva River. Population: 66,074 (2010 Census); 68,943 (2002 Census); 81,402 (1989 Census); 64,800 (1959); 36,000 (1939). The Stroganovs or Strogonovs, referred to in French as Stroganoffs, were a family of highly successful Russian merchants, industrialists, landowners, and statesmen. From the reign of Ivan the Terrible in the 16th century they were the richest businessmen in the Tsardom of Russia. They financed the Russian conquest of Siberia and Prince Pozharsky's reconquest of Moscow from the Poles. The Stroganov School of icon-painting takes its name from them. The most recent common ancestor of the family was Fyodor Lukich Stroganov, a salt industrialist. His elder son, Vladimir, became the founder of the lineage that degraded to state peasants; this lineage is still continued. The lineage from his youngest son, Anikey, died out in 1923. Anikey's descendants had made it to the high Russian nobility under the first Romanovs. The Siberian Route, also known as the Moscow Highway and Great Highway, was a historic route that connected European Russia to Siberia and China. Old Russian Chronicles or Old Russian Letopisi are the main type of Old Russian historical literature. Composed from 11th to 18th centuries the Chronicles are one of the leading genres Old Russian literature and among the most extensive monuments to it.